Get Adobe software training from an expert! Adobe Certified Instructor and Expert Candyce can provide training courses to quickly upgrade your skills. Candyce Mairs has created video based training courses on Adobe Dreamweaver, Fireworks, Photoshop, ColdFusion, CSS, jQuery and others. Each training course breaks down the topic into a series of easy to follow steps that includes how to identify and correcting common mistakes. Improve your skills in no time! Candyce Mairs provides classroom and online training for Adobe software and web topics onsite and online. Her expertise includes Adobe Captivate, Dreamweaver, Acrobat, ColdFusion, LiveCycle Designer, Microsoft Office, HTML5, CSS, and jQuery. Candyce is an Adobe Certified Instructor & Expert for Dreamweaver, ColdFusion, Fireworks, Contribute, LiveCycle Designer and Acrobat. Candyce can tailor training to meet your specific needs anywhere! Candyce Mairs provides eLearning and mLearning services and training. Candyce has experience working with Fortune 500 companies, small businesses, and individual clients to meet their eLearning needs. Along with Adobe Captivate and Dreamweaver consulting and training, Candyce provides consulting services for any eLearning or mLearning project. Contact her for more information on how she can take your eLearning to the next level! Candyce Mairs offers Adobe training courses either online, in the classroom, or via video training. 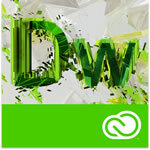 Adobe Training topics include Dreamweaver, ColdFusion, Acrobat, Captivate, and LiveCycle Designer. Candyce can also provide training on web-related and elearning topics including HTML5, CSS, jQuery, WordPress, XML and others. Candyce is an Adobe Certified Instructor and Expert. She is available to provide software training on-site, online, or in classrooms in Minnesota, Florida or wherever you need it. Contact Candyce to set up custom training now! Candyce is an Adobe Training Expert and Instructor for Adobe Dreamweaver, ColdFusion and Acrobat. She authored the Learn By Video Dreamweaver video series for CS4, CS5 and CS5.5. She is the technical editor for the Dreamweaver CC Classroom in a Book series by Adobe Press. Candyce has authored video training courses for Lynda.com, Educator.com, Udemy.com, TotalTraining.com, TrainSimple.com, VTC and others. Get Adobe training in the classroom, online or through her video training courses. Anyone needing Adobe software training or web training can be overwhelmed with the amount of learning needed to get started. Candyce can break down the process into simple steps that build upon one another to get you creating websites or elearning content in no time! Candyce has taught in the classroom, online, and via video courses. She is the perfect instructor to make sense of the various steps necessary to get up and running with your project. Whatever type of web related software training you need, Candyce can expand your skills and simplify your learning process while avoiding the pitfalls within the various programs. Get started now!